on this site let’s be your personal guide to this restaurant in Nairobi City Kenya. Delicious Food. In Air-Conditioned Comfort, Haandi serves you in Luxury. Born in Pune near Mumbai, India, Pradeep Mullick spent the bulk of his study and working life in Delhi, the culinary heart of the North West frontier where he graduated to become an accomplished Chef in his authentic presentation of this highly specialised style for cuisine. In 1991, this renowned chef took on the challenge of introducing a new concept to East Africa, the first of the Haandi food Restaurants, which he opened up in Westlands, a suburb in the capital city, Nairobi, confidently supported with finance by four local friends. 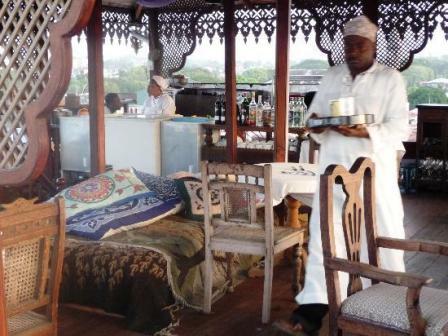 With the spreading of the reputation of this individual style of cuisine, the Haandi establishment went from strength to strengths extending to the Haveli in the Industrial area of Nairobi in 1994, the Haandi in Kampala, Uganda, in 1997, and finally the Haandi, London in 2000.